Vietnam’s economic growth, coupled with TPP, could spell trouble for Chinese companies. U.S. President Barack Obama’s visit to Vietnam later this month, taken together with the Trans-Pacific Partnership trade deal, signals a closer economic alliance between the two countries. The TPP will be a boon to Vietnam – but could be a problem for China. The TPP – which has been signed but not ratified by all negotiating parties – will significantly reduce trade barriers between the 12 countries that are participating. The biggest winner will be Vietnam, which in 2014 paid 42.9 percent of the $5.53 billion in duties to the United States. Excluding Japan’s share, Vietnam forked over a whopping 73.4 percent of the remainder, according to the International Trade Commission. The Peterson Institute in Washington estimates that the TPP, because of reduced tariffs, will increase Vietnam’s GDP by 8.1 percent by 2030. However, for China, the impact will be flat to a decline of 0.1 percent of GDP as China loses some of its markets to Vietnam. Apart from lower tariff barriers, there are good reasons for Vietnam’s strength as a trading partner. Labor costs are at least 20 percent lower than in China and the workers are becoming increasingly educated. After attending a conference in May sponsored by Dragon Capital, the largest foreign fund manager in Vietnam, investors walked away impressed by the sophisticated companies that are rising up like flowers after a spring rain. Take Mobile World, which was started more than a decade ago by a young entrepreneur with a few shops selling mobile phones. Today, co-founder Nguyen Duc Tai has transformed the company into a powerhouse with 680 stores and a 35 percent market share. Tai this year is testing mini supermarkets to take advantage of the aspirations of Vietnam’s middle class. But China is warily eyeing startups like Mobile World and the increasing ties between the United States and Vietnam. 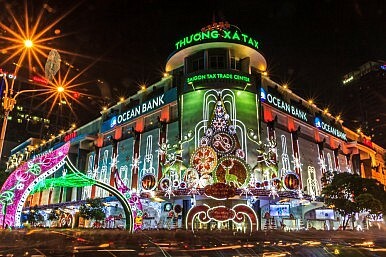 The consensus among foreign investors is that Vietnam’s impressive growth will require foreign capital, while privatizations of state firms will improve efficiency– while Chinese companies are kept at bay to allow domestic firms to flourish. Cell phones are Vietnam’s second largest export market after clothing, of which 50 percent goes to the United States. Vietnam sources one-third of its raw textiles from China because it is a capital-intensive industry where China has a longstanding advantage. The TPP rules, though, will force Vietnam to adhere to Rules of Origin that ensure that only goods primarily produced within the TPP zone are eligible for tariff preferences. That will force Vietnam’s clothing companies to build expensive textile factories or find new imports from TPP countries. This will be particularly difficult for smaller companies that don’t have the time or money to chase new supply chains. In any case, China will be shut out unless they set up shop in Vietnam. Economically, of course, Vietnam could run into problems. It is living beyond its means, with fiscal deficits at more than 5 percent of GDP. The money supply is rising by a rapid 18 percent per year and debt has jumped to 81 percent of GDP in 2015 from just 35 percent in 2009. Still, given the $1.3 billion in privatizations this year and the street smarts of entrepreneurs like Tai at Mobile World, China has good reason to watch Vietnam’s economic rise with caution. Andrew Collier is a Senior Fellow at the Mansfield Foundation. He formerly served as President of the Bank of China International USA.